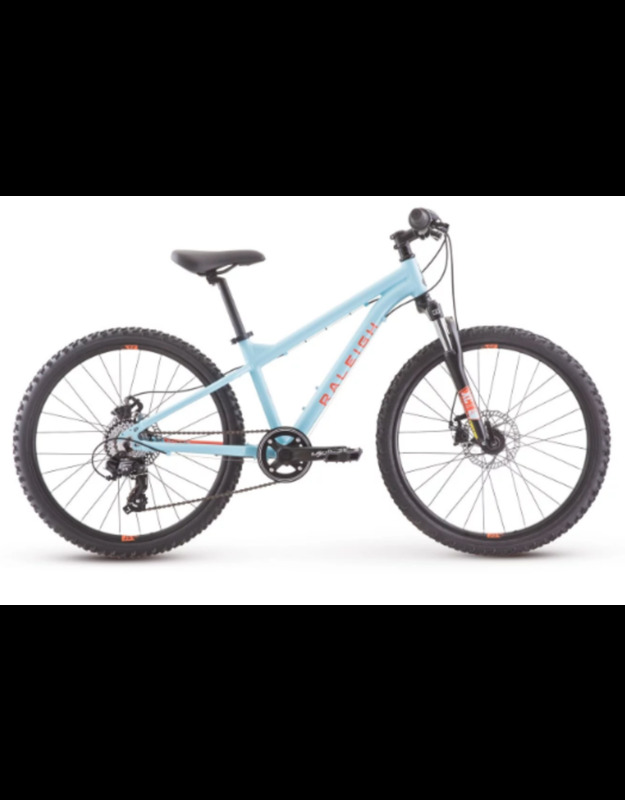 For bigger kids who want to rip around the mountain trails on a bike just like dad's, the Tokul 24 offers aggressive trail geometry and a hardtail creating a fun, playful bike with an undeniable cool factor. 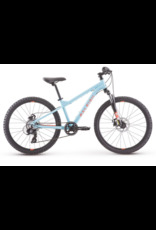 Designed for kids 9 to 12 years old, or 54" to 61" inches in height, the Tokul 24 is an all mountain bike that loves to play on rooty, rocky trails and introduces kids to lines they never thought possible. The Tokul 24 is designed with a lightweight, low stand over height aluminum frame and SR sun tour XCT shock with 50mm of travel. The 7-speed Shimano revo drivetrain helps your little rider learn the basics of how to shift gears while keeping things low maintenance. Alloy v-brakes ensure great stopping power and the bash guard keeps the chain from hitting logs, rocks and legs. To finish it off, the large 24x1.95" tires level out tough terrain with ease.